It’s a fact that Bay Area brewers preaching “buy local” hate to admit: Their beer may be brewed locally, but the ingredients come from hundreds if not thousands of miles away. Much of the barley used for making beer is grown in the Upper Midwest and Canada, with plenty more coming from Europe. In 2010, Ron Silberstein of San Francisco’s ThirstyBear Organic Brewery wanted to change that. He found a farmer near Sacramento eager to supply him with barley. “I had all this beautiful organic barley from Nigel Walker* of Eatwell Farm,” Silberstein recalls. Problem was, Silberstein couldn’t brew with the grain until it was malted, a process that involves germination to activate enzymes critical for brewing and then drying the grains in a kiln. 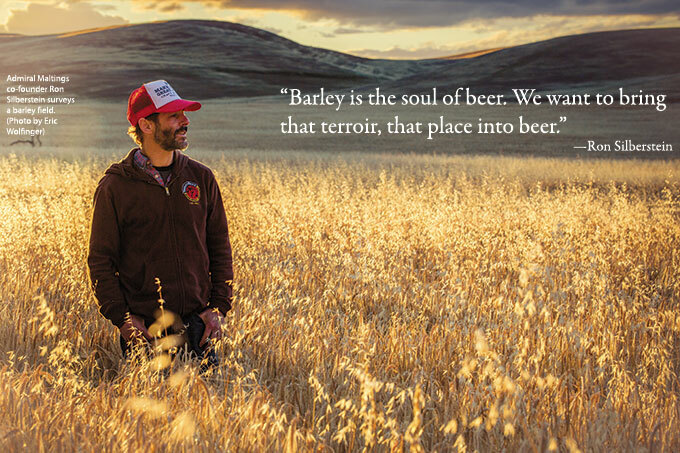 He wound up sending the barley to a small-batch malting house in Colorado, the closest facility he found available. 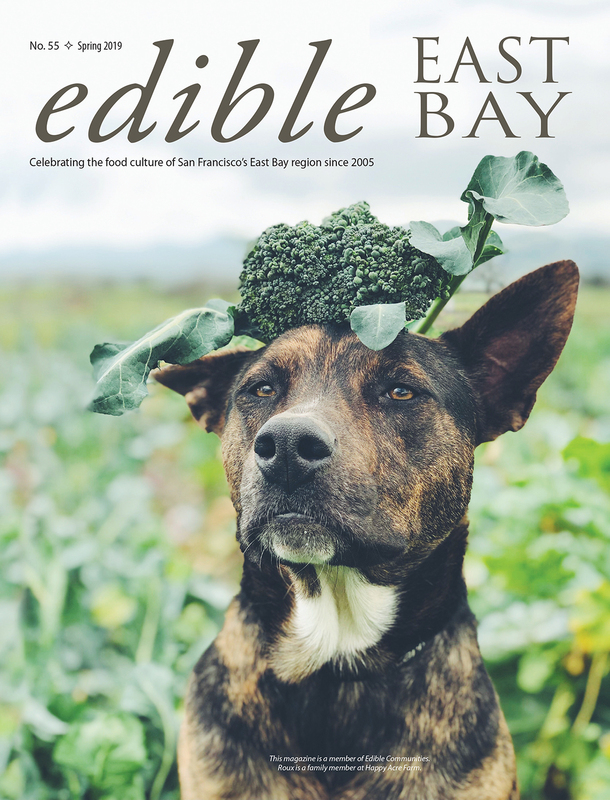 “The carbon footprint going into all that was absurd, and so was the price,” says Silberstein, who at least felt gratified that his ThirstyBear Locavore Ale, brewed from this malt, resonated with drinkers at the pub. But it got Silberstein thinking: How might he feasibly brew a true locally sourced beer? The plan started coming together, and now they are set to open Admiral Maltings any day. Curtis Davenport, who has a background in organic farming and previously ran a small malting operation near Santa Barbara, will oversee the day-to-day operations. 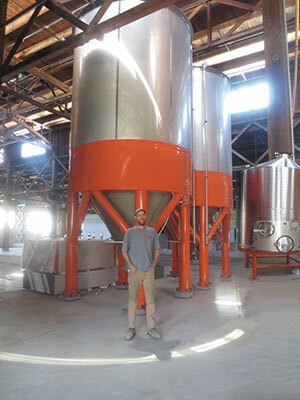 The main plan at Admiral Maltings is twofold: to accept only grain grown in California using sustainable farming practices and to employ traditional floor malting, a technique that was gradually phased out more than a hundred years ago as malt houses switched to methods utilizing huge containers that could generate higher volumes. Floor malting facilities still exist in a few spots around the globe, most of them supporting tradition-bound breweries in Europe using local grain. That water is circulated and filtered three times during the 48-hour steeping process using a high-tech filtering system developed with funding from NASA. It saves thousands of gallons of water from being flushed down the drain for each batch of malt. Germination generates heat, and if the temperature of the grains exceeds 55°, chemical reactions will begin producing undesirable flavors in the malt. At Admiral Maltings, a system of embedded pipes cools the floor under the grains. A real distinction between automated malting houses that rely on sensors and Admiral Maltings is that Davenport, in his quest for peak flavor, uses human senses and experience to determine when it’s time to move the grain to the kiln. “You’re walking through it, you’re very immersed in it,” says Davenport of this step. Why is Floor Malting Better? It may be a small batch malt house, but Admiral Maltings has plenty of potential to change the Bay Area brewing landscape and support a small ecosystem of California barley farmers. At peak capacity, Admiral Maltings can produce 1,440 tons of malt per year, enough to brew 60,000 barrels of beer. Your local brewpub sells roughly 1,000 barrels of beer each year, so there will be plenty of locally grown California malt available for area breweries. The best part of that is that beer lovers can come taste it here: Admiral Maltings is building a pub on-site with approximately 20 taps to feature beers made from the house ingredient. But will simply using California grain create a new beer terroir? Does terroir even exist in malt? To give each batch of malt its unique identity, Admiral Maltings won’t even mix grains from different farms. You’ll know exactly which farm the grain came from in each batch of Admiral Maltings malt. Derrick Peterman enjoys running and also exploring the Bay Area’s great beers and breweries. He writes about beer (mostly) and running (sometimes) on the blog “Ramblings of a Beer Runner” at ramblings-of-a-beer-runner.blogspot.com.